BRIGHT LIGHT - 45Watts has up to 5000 Lumens and can replace a HPS/HID/HALIDE lights, 250W incandescent or 90W CFL. 5000K light color ensures a bright clear light. 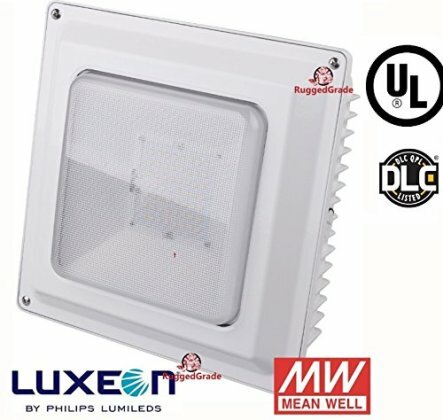 EASY INSTALLATION - Easy LED retrofit. High efficiency LED fixture can be bolted into a ceiling or set up as a recessed light. Looks great in a retail or office environment when used as troffer style panel light. QUALITY AND WARRANTY -High Quality aluminum Design has an IP65 Waterproof rating. Unit is backed by our 1 Year Warranty.